Did you know the traditional gift of the second year anniversary is snails? Oh wait it's not? 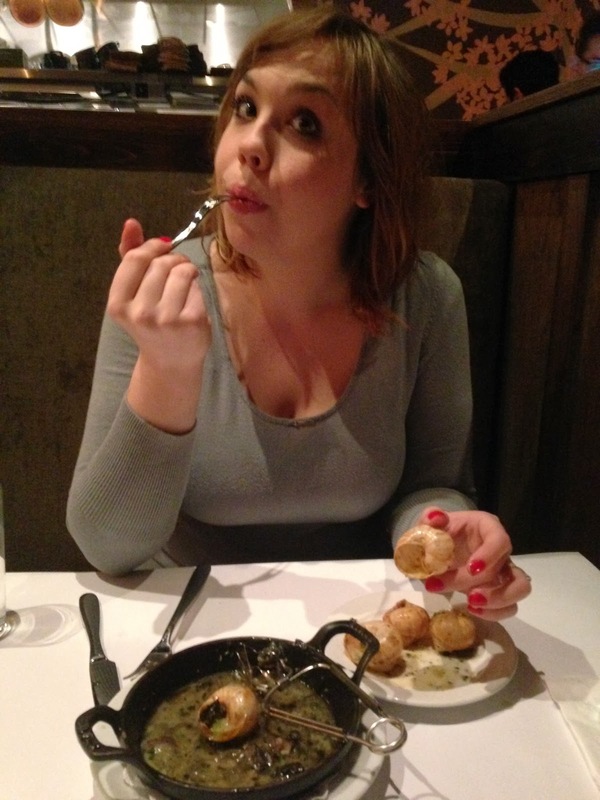 Oh well I ate all the escargot and all the bread and mushrooms and garlic cloves anyway. Jared ate 2! How proud I am of him! Jacksonville peeps: go eat at Orsay! I know Jared loves me when we came home to a surprise piece of French Pantry wedding cake with strawberry sauce. I just looked it up and shockingly the traditional second anniversary gift is neither buttery gastropods or cream cheese frosting. Weird. It's cotton. I think our idea's were better.